Metallic accents define Michel Smith Boyd’s aesthetic. Well, metallics and moody textiles. OK, and layered accessories. Boyd is no minimalist, and he’s not shy about going all out with glamour, even in the most utilitarian of spaces—the kitchen and bath. The Atlanta-based designer, who has appeared everywhere from the pages of Elle Decor to this season of The Real Housewives of Atlanta, has become known for artfully mixing metals and spiking his designs with rose gold. Create glamour with mixed metals. Start with a sink and faucet. 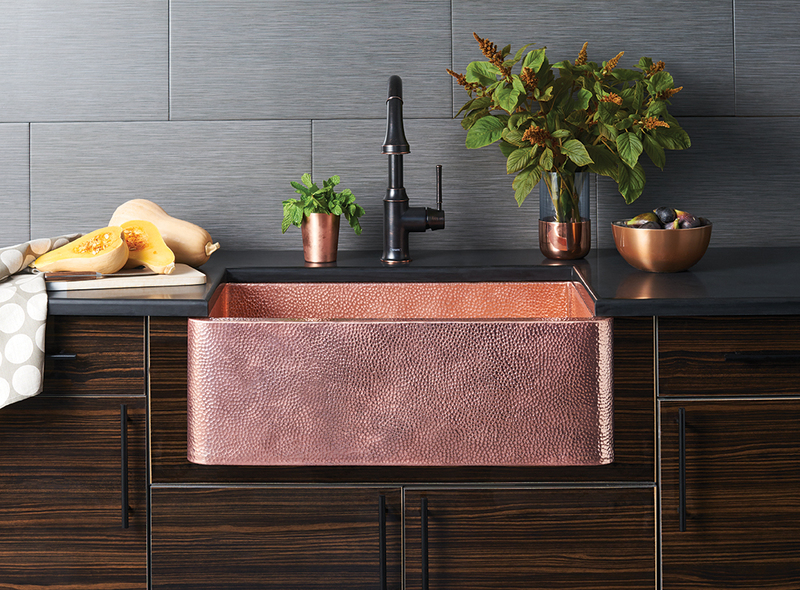 Pair polished copper with matte or black fixtures. Find what’s fresh and fashionable. 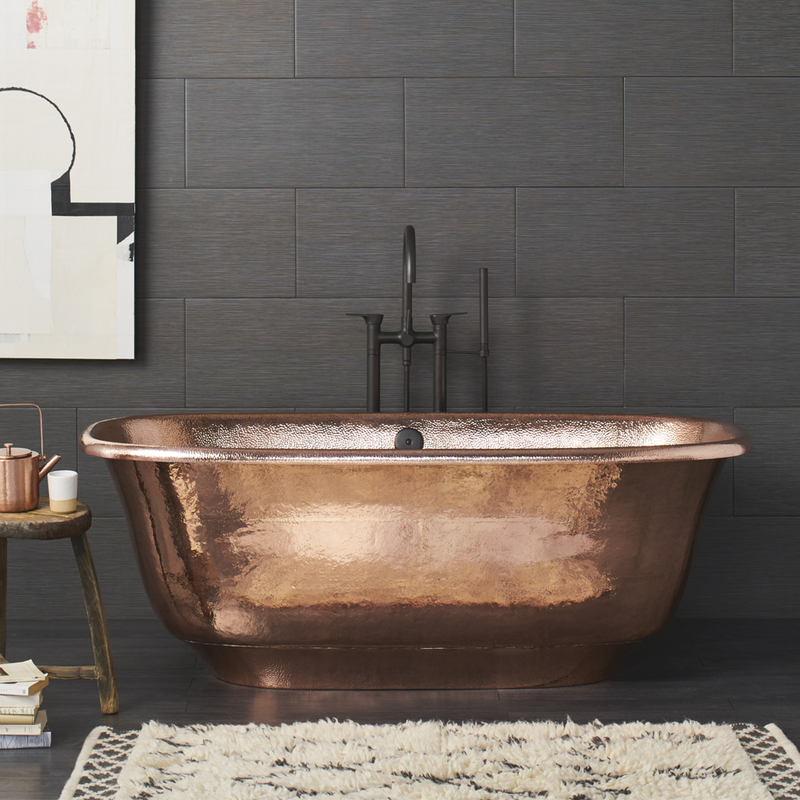 Browse all of Native Trails’ Polished Copper sinks and bathtubs here.